Joe Buddens -vs- Marlon Wayans!!??? Tracy Morgan Undergoes Kidney Transplant. Tracy Morgan will be noticeably absent from at least two episodes of 30 Rock in March. According to EW, the actor, 42, is recovering from a kidney transplant he underwent on Dec. 10. Tina Fey and the other writers of the hit comedy reportedly plan to address Morgan’s absence on the show by saying he has some sort of a meltdown because of a good thing that’s happened to him. Morgan, who has diabetes, is said to be recovering from the surgery nicely. He was recently spotted at a New York Knicks basketball game. His costar, Grizz Champan, also underwent the same transplant earlier this year. CONFIRMED: Mariah & Nick Expecting Twins. 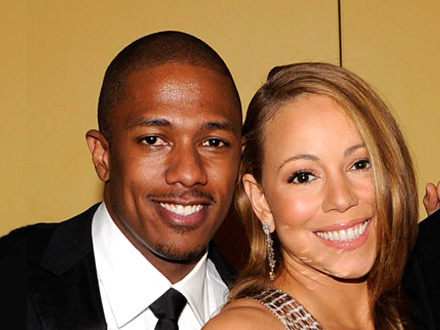 Ever since Mariah Carey and Nick Cannon confirmed their pregnancy news, the world has been wondering: Is it a boy or a girl? Maybe even multiples? On Thursday, Cannon himself put rumors to rest on his radio show, telling listeners, “We are having twins.” The two have been cautious about revealing too many details since they’ve had a “long journey” to parenthood, which included a miscarriage in 2008. But when President Barack Obama happened to ask about her pregnancy, Carey just couldn’t keep a secret. Carey and Cannon have not revealed her due date. Dave Chappelle Speaks On Secret Societies & Gay Hollywood. For a minute folks thought he was crazy, but the brother speaks with plenty sense. In the clip below, Dave Chappelle voices his views on Secret Societies & Gay Hollywood. Like I said before, personally I don’t know much in this area. However, I’m not above hearing someone out, and taking into account all that is said. That way I can make an informed decision & proceed with caution. I encourage you all to do the same. Dave Chappelle Talks About Secret Societies. Dave Chappelle A Safety Risk. A plane traveling from New Jersey to Ohio made an emergency landing Friday night after Dave Chappelle was deemed a safety risk. Word is that Dave refused to buckle his seat belt and repeatedly entered the cockpit during the flight. At one point, the comedian grabbed the pilot’s arms. 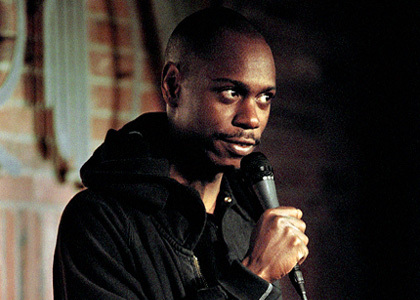 The pilot diverted the jet to Pittsburgh after deciding Chappelle was a safety risk. According to the comedian’s rep, Chappelle had wanted to use the bathroom after eating something bad, but the toilet on board didn’t suit his needs. After landing in Pittsburgh, the former “Comedy Central” star reportedly checked into a hotel where he told employees he wanted to rent a car to drive back home to Ohio, but couldn’t remember his address. Eddie Murphy & Melanie Brown “Kiss & Makeup” For The Sake Of Their Daughter. Looks like you can teach an old dog new tricks! Despite months of drama between Eddie Murphy and his baby mama, Melanie Brown, sources say the two have reconciled. In fact, Eddie first began to soften to the Spice Girl when he was in New York City for the Tribeca Film Festival. Murphy and Brown have famously feuded since news broke of her pregnancy in 2006, with Murphy initially denying he was the dad. Not so, said a paternity test. But even after the actor found out he was indeed going to be a father – for the eighth time – he was repeatedly accused of wanting nothing to do with his child by the former Scary Spice. 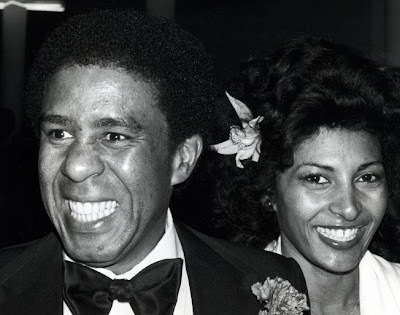 We hear the “Dreamgirls” actor had an additional push to make nice. Mel B wasn’t Eddie’s only ex in attendance at the bash. The actor also seemed to be making an effort to get reacquainted with former girlfriend Shaun Robinson, the “Access Hollywood” host he dated before Brown. X-CLUSIVE: Pam Grier Recounts How She Was Impregnated w/Cocaine. Does Elin Share Some Responsibility w/Tiger Woods? According To Jim Carrey, She Does. Jim Carrey is not only tweeting about his own love life this week, but Tiger Woods’ as well. The comedian, who announced his split from long-time girlfriend Jenny McCarthy on Twitter Tuesday, has been sounding off on the golfer’s affairs – particularly the part his wife, Elin Nordegren, played in them. After some negative responses to his Tiger tweets, the “Yes Man” star posted an addendum. “I want 2 make it CLEAR that I do not condone infidelity at all, but 2 some degree the responsibilty 4 it is shared by both people! ;^)” Carrey wrote. After various news outlets picked up his controversial tweets, Carrey returned to his account a little more subdued. But true to his nature, Carrey did not keep his sizable mouth shut for long. Jim Carrey Becomes A Granddad. He may seem a little young to be called “Grandpa,” but 47-year-old Jim Carrey is embracing his new role now that daughter Jane Carrey has given birth to a baby boy. Jane and husband Alex Santana welcomed their first child, son Jackson Riley Santana, at 12:28 a.m. Friday in Los Angeles. He weighed in at 7 lbs., 11 oz, and measured 20 inches long. While she was pregnant, the Jane Carrey Band singer, 22, said she was looking forward to having a son with Santana, lead singer of the metal band Blood Money. Her actor dad predicted his little girl would do just fine as a parent. “Jane is going to be a great mom,” he said in July. Jane’s due date was Mar. 3.